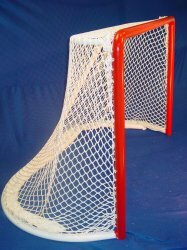 Regulation NHL Hockey Goal Nets 72" x 48"
NHL hockey goal nets can enhance your shooting drills and hockey games. 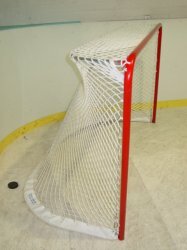 We offer several construction and pricing options. 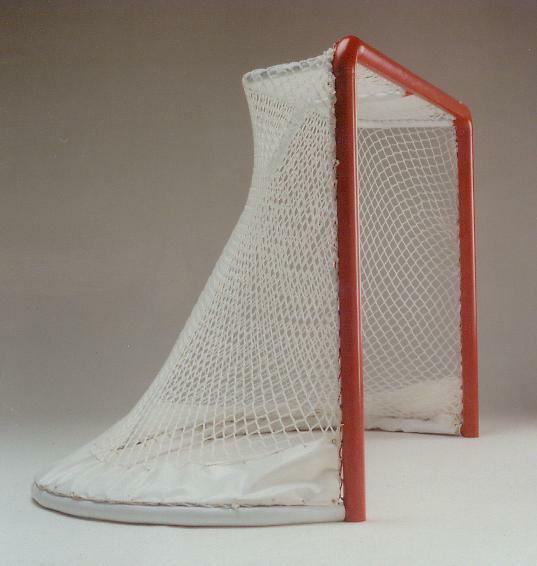 The goals post are six feet (6') apart measured from the inside of the posts. 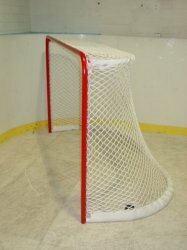 A cross bar extends from the top of one post to the top of the other. 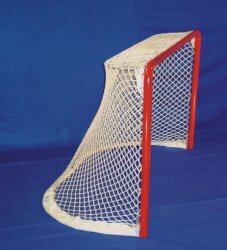 Our NHL hockey nets are durable, steel hockey goals that conform to NHL regulations. 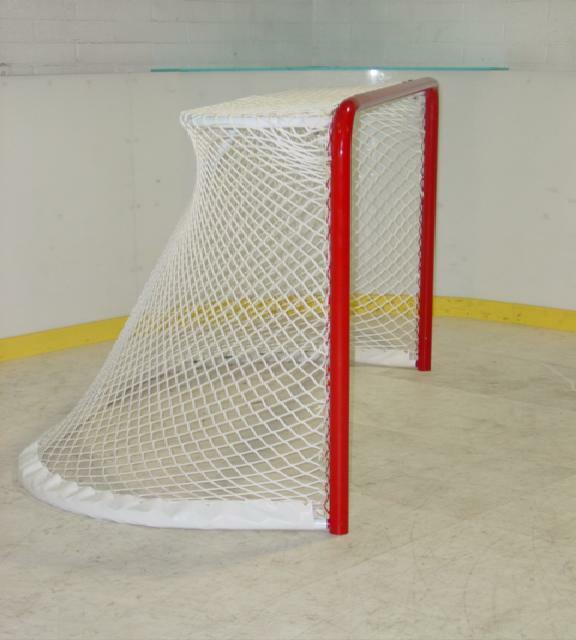 These NHL Hockey goal nets are built to last a life time. 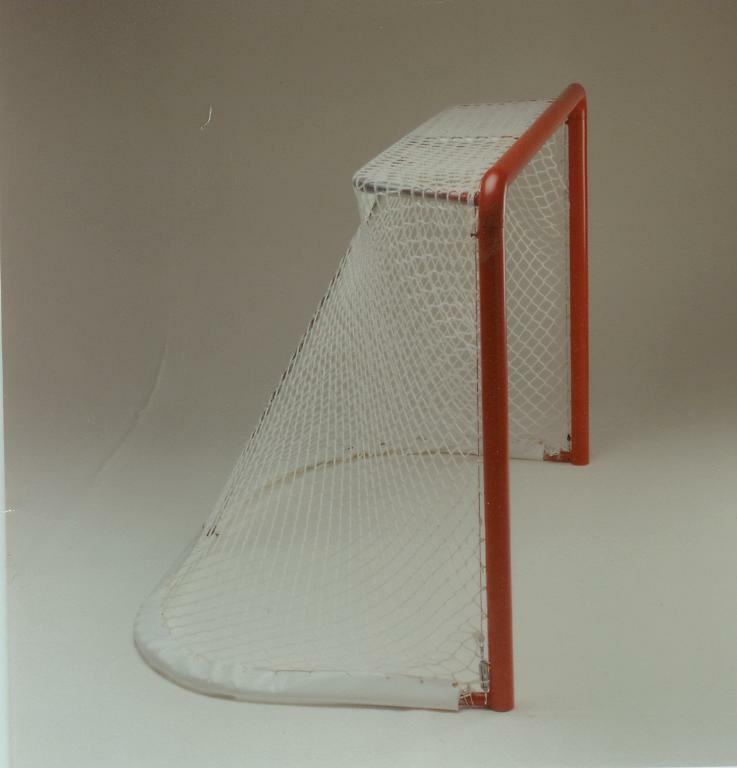 They feature galvanized steel construction with attractive red enamel on the posts and crossbar, and white in the interior on Tournament and one-piece models. 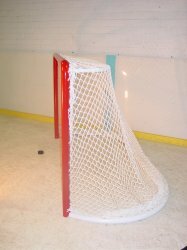 All netting on our NHL hockey goal nets are bright white, UV treated 5mm knotless nylon, with full trim base skirting included to further protect the netting from pucks and skates. You'll find impeccable attention paid to details - all welds are finished, all seams are very clean, and no unsightly or inferior construction.